It’s raining outside today, so I am inside with my books on Paris, particularly David Downie’s Paris, Paris. I have a trip rather spontaneously planned coming in the next few weeks. The chapters in this book are short so you can pick it up and put it down, and then easily pick it up again another time. Each chapter focuses on an area of Paris, or a particular person who seems to be synonymous with Paris and gives the reader some background as well as what seems to be insider information. At times, you almost feel that the author is taking you along on a private tour. If you’re a Fracophile like me, you devour any book on Paris. 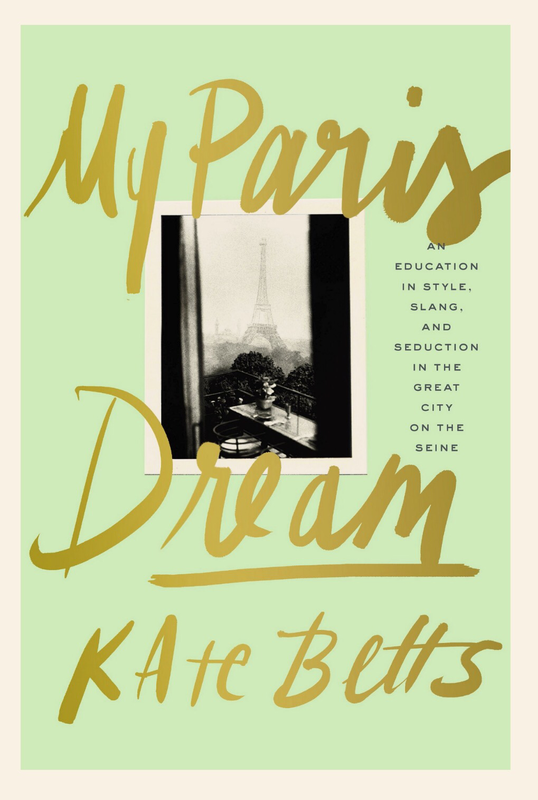 If you haven’t yet read this one, My Paris Dream, by Kate Betts, you must pick it up tout de suite. It was a great read combining Paris, French language and culture, and fashion all in one. I particularly loved this book because the author discusses Paris at a time that I was also there. It brought up many wonderful memories for me. But, it is also well-written to show her growth as a person, as a professional, and her deepening love for Paris. I’m also really looking forward to reading Elaine Sciolino’s The Only Street in Paris. I heard her speak on Fresh Air with Terry Gross, and I was impressed with her knowledge of the city. It often feels that I have read every book of a person’s experience in Paris, and others on food and Paris, and Parisian history. Are there books are Paris that are your favorites? Do you have one would recommend? I’d love to hear.